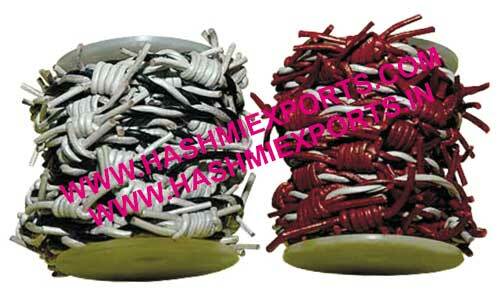 Backed by an adroit team, we are capable of manufacturing and exporting Barbed Leather Cords. The Barbed Leather Cords, we offer, are greatly demanded by the clients for designing various outfits and accessories in an innovative manner. These Barbed Leather Cords are designed using quality leather material and by adopting qualitative methods. The clients can avail the Barbed Leather Cords from us in variety of sizes and specifications to meet the specific demands.